El Paso, TX. Chiropractor Dr. Alex Jimenez looks at stretches for neck pain. Your neck is one of the hardest working parts of your body. It is serves us well as a source of strength and balance. When it’s out of whack, your neck can be a source of unending distress. Let’s face it…today’s use of technology has our necks being put to use in ways it was never intended. Did you know that looking down at your phone can sometimes exert as much pressure as the equivalent of a 40lb weight? Unfortunately for the vast majority of people, neck pain will affect them at some point in their lives. 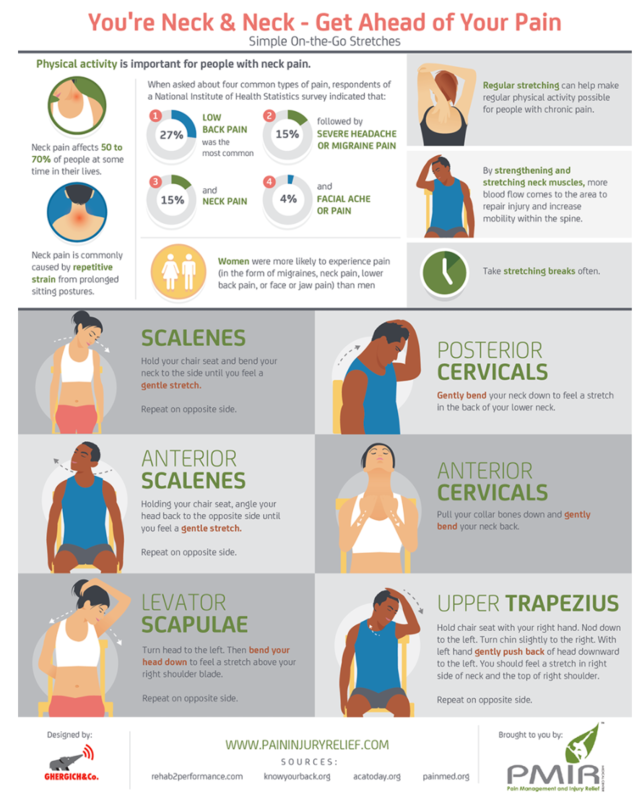 Women are more prone to neck pain but men definitely have their fair share as well. Whether it is at home in front of the TV or electronics or at work in front of the computer, our necks get a work out! Distresses on the neck are felt in many ways, including but not limited to: low back pain, severe headache, migraines, or even facial aching and tenderness. What are some of the gentle ways you can give your neck a break? Good question, we are glad you asked! Thankfully, stretching our neck muscles regularly is easy to do and it can help relieve and prevent neck pain.